LEGENDS TO STEAM FROM THE GAME The Elder Scrolls Online DISPLAYED IN THE BROWSER WINDOW AND COMING ON YOUR E-MAIL AUTOMATICALLY AFTER PAYMENT !!! RUSSIAN LANGUAGE IN THE GAME !!! There is no official Russification and do not plan it. This cracker is unofficial, (amateur) but at the moment the most complete, it´s better just not. Russifier and instructions for its installation can be found at: http://online.elderscrolls.net/RuESO. 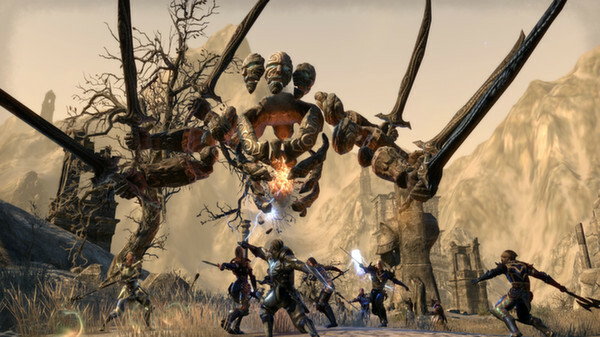 For the first time in his twenty-year history, the famous fantasy role-playing game The Elder Scrolls goes online. Go on a grand trip alone or with friends, fellow guilds and thousands of allies. An innovative combat system will allow you to fully immerse yourself in battles, without being distracted by the struggle with the interface. Use any weapon and armor, select skills to taste and perform heroic deeds, without limiting yourself in any way. At your service are the wealth of Tamriel, the secrets of Morrowind, the immense stone jungles of Daggerfall and much more. Write your name on the tablets of history and enter into grandiose battles between players, because in them the fate of the whole world is decided. 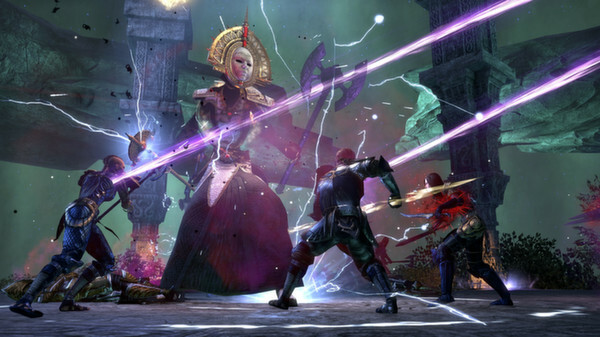 The Elder Scrolls Online events take place thousands of years before the advent of the dragonborn, at the dawn of the era of the first emperor of Tamriel Tiber Septim. The three alliances share the spheres of influence on the continent - but as long as battles for power over the Imperial City rush, the forces of darkness do not slumber and are preparing to destroy the whole world. - After that the game will be displayed in the list and you will be able to download it. Спасибо за игру! Все отлично! Код пришел моментально, все отлично.